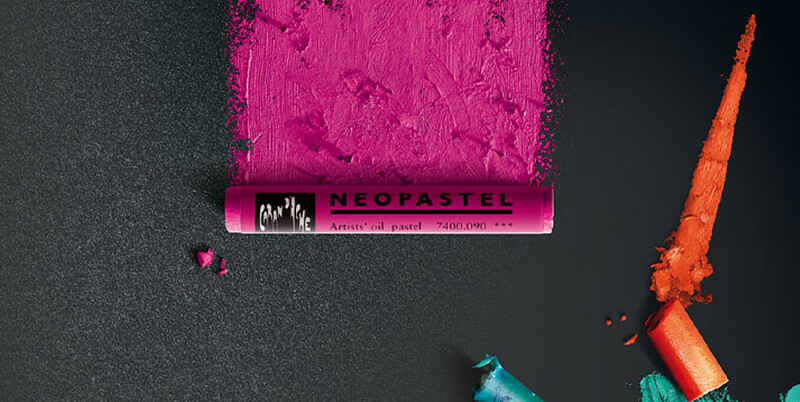 With its soft, velvety texture and high pigment content, the Neopastel oil pastel offers artists, tutors and students a flexible medium with strong colours. Developed in the Caran d’Ache workshops with the advice of expert pastel artists, Neopastel is a must with its huge range of 96 luminous hues, incorporating a wide selection of grey, warm and cold tones. Neopastel offers excellent coverage making it suitable for a wealth of applications and artistic combinations: from lines to flat-wash, blending to stencilling, or batik effect to sgrafitto in multiple layers. Its wide 10mm diameter, refined texture, water resistance and excellent lightfastness make it ideally suited for use on diverse materials, be they tinted or dark. Non-drying, non-oxidisable and heat resistant, Neopastel is also soluble in turpentine and can be used with ease for oil painting on canvas. Available in a box of 12, 24 or 48 or a wooden box of 96. 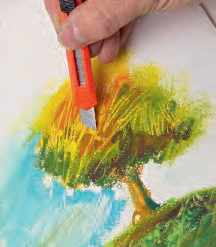 Type: Ultra-high quality oil pastel for both professional and amateur artist’s requirements. Pastel : water-resistant colours, soft, non-powdery, soluble in turpentine. Water-resistant, soft and velvety texture does not crumble and can be dissolved in white spirit. Highly concentrated pigment, superior covering power, luminous colours and excellent light resistance. Very high pigment concentration, economical in use thanks to the high covering capacity. Product conforms to ASTM D4236 (AP for USA only). 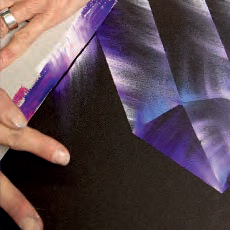 Apply the pastel around the edge of a smooth template. Rub the colours off the template and onto the paper with your finger. Overlay the colour then scratch the top layer with a knife or spatula. 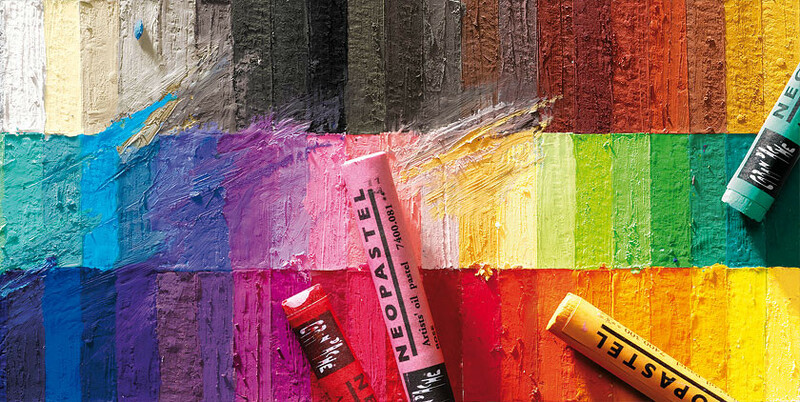 Neopastel oil pastels are designed and made by the artisans of the Maison Caran d’Ache with the greatest care according to the quality standard criteria of the Swiss Made label and in compliance with environmental norms and certifications.